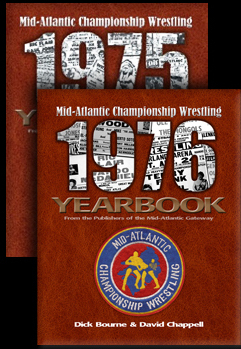 The month of February 1980 in Mid-Atlantic Championship Wrestling began with the conclusion of a short program that featured “Nature Boy” Ric Flair against his cousin, “The Crippler” Gene Anderson. This unique series pitted these two in 30 minute time limit bouts, where Ric had to win within the 30 minutes by using the figure four leg lock, or the Nature Boy would lose his hair! These stipulations clearly favored Anderson to the max! On February 1st, Ric and Gene hooked up at County Hall in Charleston, South Carolina with Ric coming perilously close to having his famous “golden mane” being shaved off! After that brutal contest, Flair and Anderson had to travel all the way up to Hampton, Virginia, for a “rematch” the following evening. 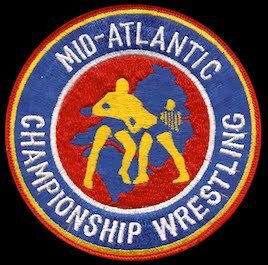 In the promos leading up to the Hampton bout, Gene chuckled about Ric becoming bald, while Flair told the tidewater Virginia fans that Anderson would have to kill him to ever take his hair. In the end, Ric was correct as he survived the Hampton bout with his hair intact, and this short Anderson/Flair program had run its course. On the World Wide Wrestling television program that aired around much of the territory on Saturday March 2nd, an intriguing new tag team debuted. Newcomer Ox Baker with his dreaded “heart punch” teamed with the returning big Swede Hanson! 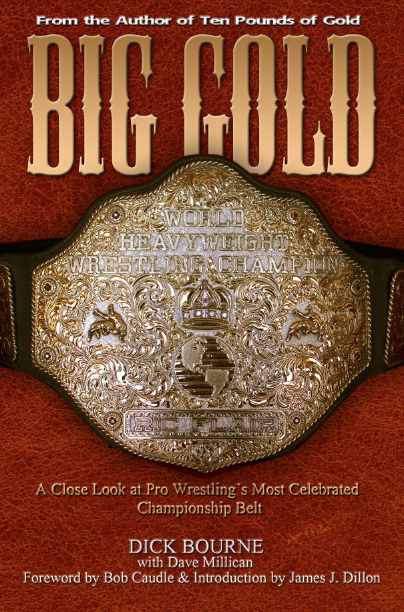 Announcers Rich Landrum and Johnny Weaver referenced that the big Swede had just returned from a very successful tour of the northeastern states, where he had wrestled main events in Madison Square Garden in New York City. 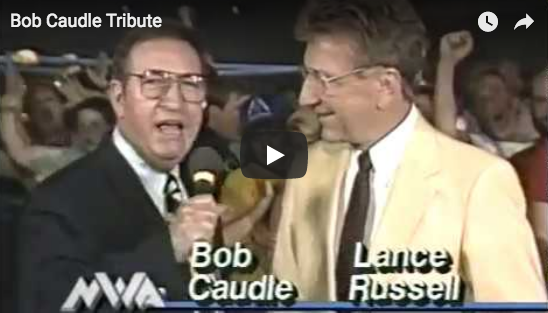 The duo of Baker and Hanson whipped the tag team of Bob Marcus and Don Kernodle with ease on the March 2nd TV show. This “World Wide” show also featured a one minute film clip where Ric Flair described how Jimmy Snuka put 36 stitches in his head. 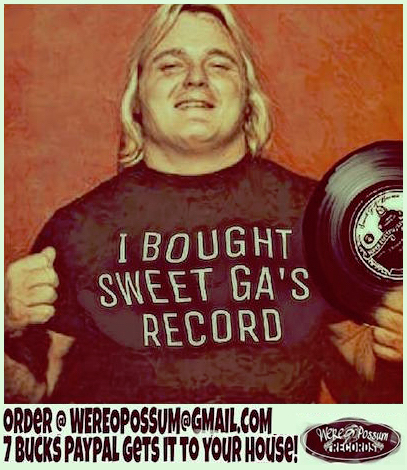 Additionally, Jim Crockett made a very rare television appearance, telling the fans that when he informed Ricky Steamboat and Jay Youngblood that he was suspending Greg Valentine and Ray Stevens for cutting Jay’s hair, he was threatened with a lawsuit from “Steamer” and Jay! The good guys desperately wanted Stevens and Valentine in the ring. 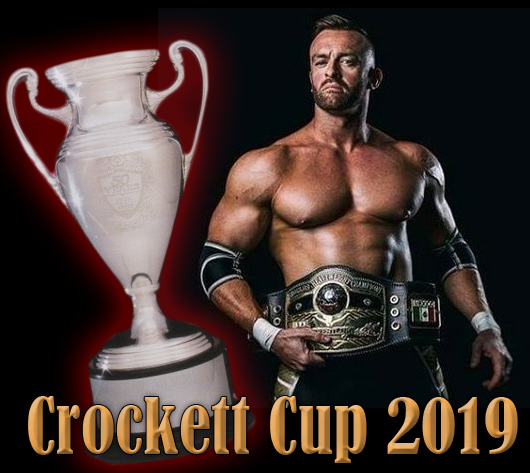 Crockett said he relented in the face of a lawsuit, and that Stevens and Valentine instead were being fined and put on probation. 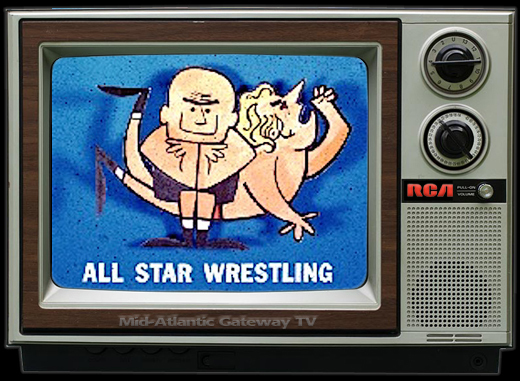 During the Christmas/New Year’s holiday season, an unholy alliance was forged between two tough grapplers that would have major ramifications for Mid-Atlantic Championship Wrestling for the first half of 1980. 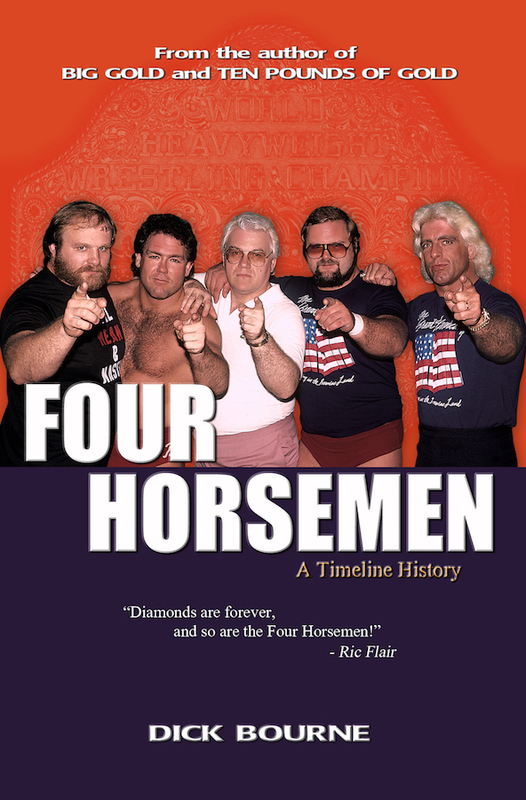 Ray “The Crippler” Stevens and Greg “The Hammer” Valentine joined forces, with the express intent of capturing the NWA World Tag Team Titles from the current titleholders Ricky Steamboat and Jay Youngblood. However, before the New Year got too far along, Greg Valentine had several more matches against his former best friend, Ric Flair. 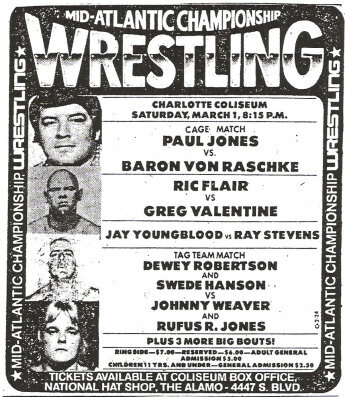 This series of matches, which most fans believed they would never see, started in late December when Flair spurned Valentine’s offer to reform their dynamic tag team combination. 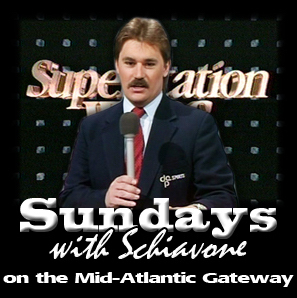 These two squared off on three consecutive nights, on January 6th in Savannah, Georgia, January 7th in Greenville, South Carolina and in Raleigh, North Carolina on January 8th, with Ric dominating these contests to the delight of the fans. 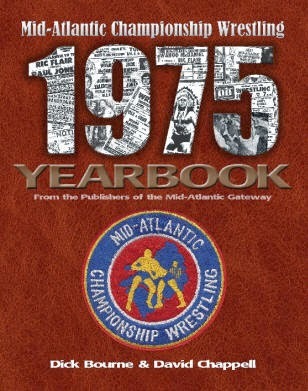 On the first television show of the New Year, the Mid-Atlantic Championship Wrestling show taped at the WRAL TV studios in Raleigh, North Carolina on January 2nd, Ray Stevens and Greg Valentine came out and quickly challenged the tag team champs Ricky Steamboat and Jay Youngblood. 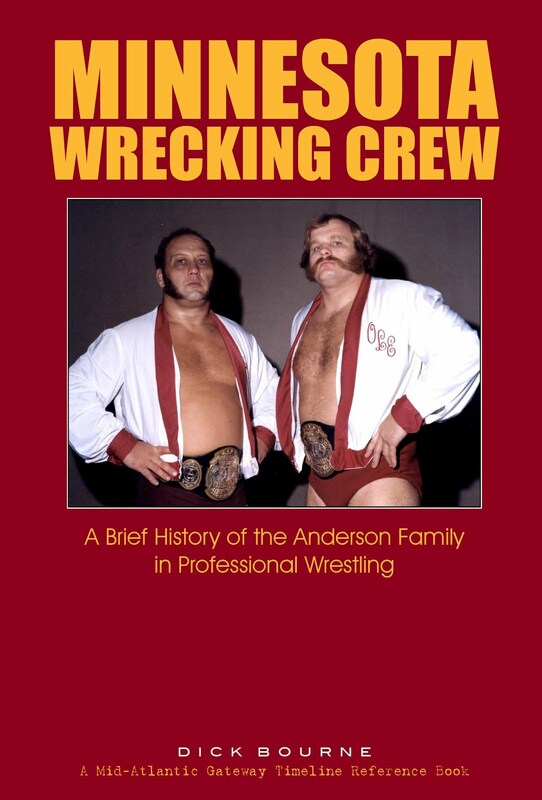 There could be no doubt that Ricky and Jay were the primary targets of Valentine and Stevens, but the bad guys also issued challenges to the top tier teams of Blackjack Mulligan and Ric Flair, and Jim Brunzell and Rufus R. Jones. 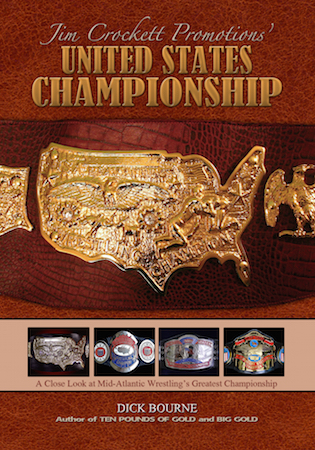 While Stevens and Valentine would continually challenge Steamboat and Youngblood during the month, the two teams only wrestled once for the Titles during the month of January. That bout saw Ricky and Jay score an impressive victory over Stevens and Valentine in Spartanburg, South Carolina on January 12th. 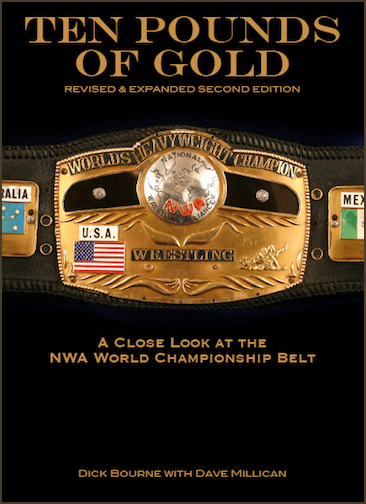 The next night in Greensboro, North Carolina, the champs won a scientific matchup with Jack and Jerry Brisco, who were flown in to challenge for the World Tag Team Titles. 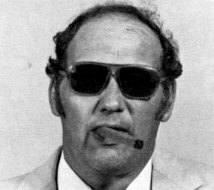 Other than those two nights, Steamboat and Youngblood had a full month of January Title defenses, staving off the last gasp challenge of Paul Jones and Baron von Raschke.